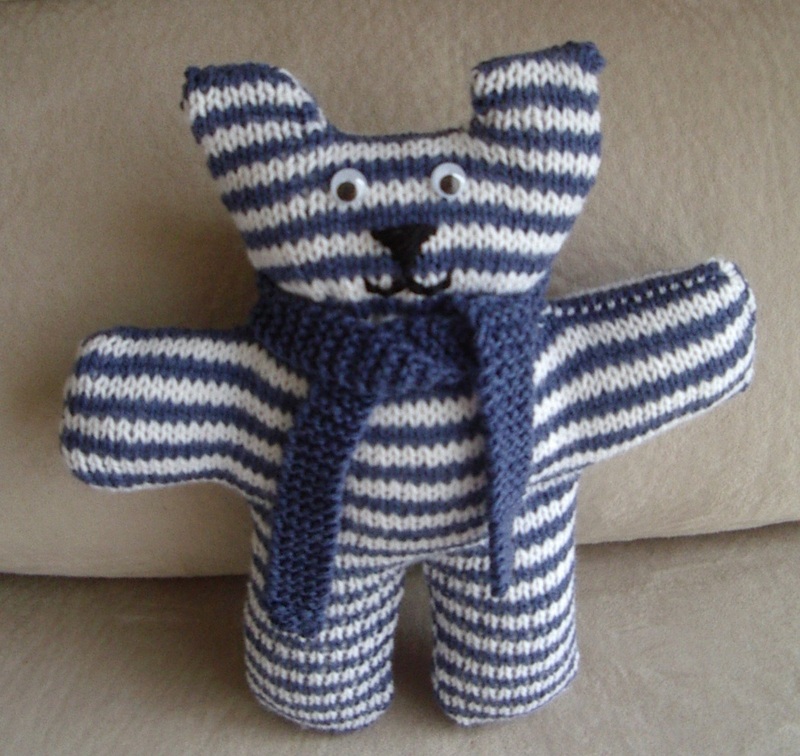 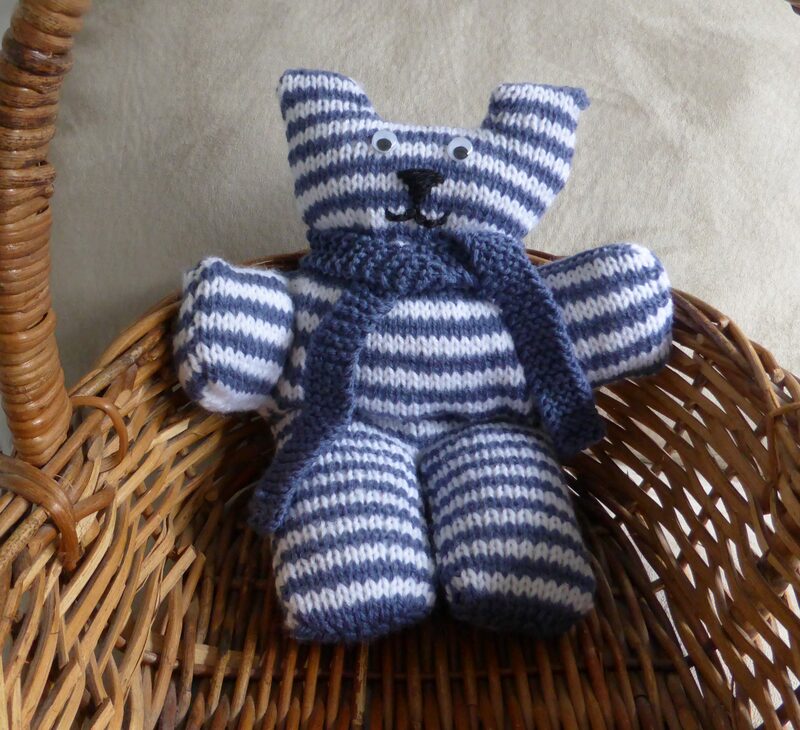 Easy knit 8ply striped Teddy Bear with a garter stitch scarf. Yarn required: Panda Magnum 8ply, 100g balls@310m. 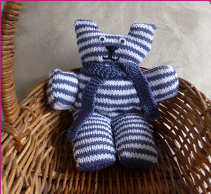 eyes (optional); scraps of yarn for embroidery.